In the Rose Garden / DEMO CONFIRMS, UTENA IS THE WORLD JENGA CHAMPION OF YURI!!! » DEMO CONFIRMS, UTENA IS THE WORLD JENGA CHAMPION OF YURI!!! 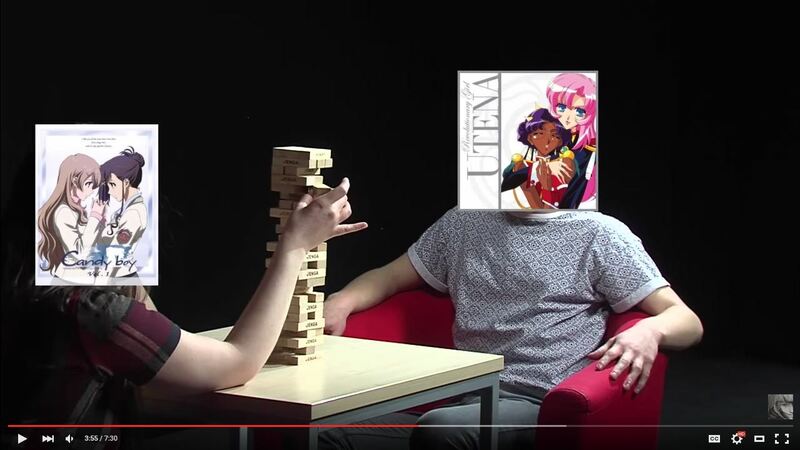 DEMO CONFIRMS, UTENA IS THE WORLD JENGA CHAMPION OF YURI!!! Re: DEMO CONFIRMS, UTENA IS THE WORLD JENGA CHAMPION OF YURI!!! But seriously, I'd like someone of the few anime review channels I follow to do something on SKU for once. I mean, it's not exactly obscure, it's influential, the people who made it are still at large, it's not mainstream anime - WHAT'S THERE NOT TO LOVE!? I think people take SKU for just another girly yuri at first glance, and don't even give it a chance if they're not into romance. How very unfortunate for them . He definitely has a soft spot for the show since I found a comment of his yesterday listening to stuff from the soundtrack.